My research sits between the established disciplines of biodiversity, ecology, paleobiology, chemical ecology and mineralogy in the context of the global change using bryozoans and microgastropods as model organisms (see My Researchgate; My Google Scholar). I have more than 9 years of research experience and I participated in 5 Antarctic campaigns (ACTIQUIM I and II and DISTANTCOM projects). 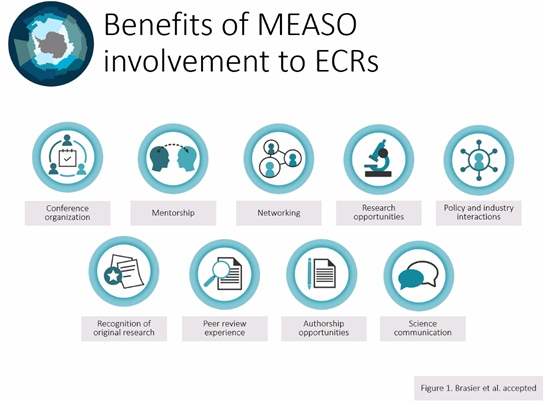 During my research career, I have also gained an extensive experience in various sectors, by working at several public institutions (e.g. Health, Safety and Environmental Issues -OSSMA-UB and UB Research Management; ub.edu), companies (e.g. SUBMON, submon.org; Plàncton, plancton.cat) and NGOs (e.g. GEPEC, gepec.cat). There, I have promoted the environmental awareness among the general public through outreach activities. "Anyone who starts to look at bryozoans will continue to do so, for their biology is full of interest and unsolved mysteries". J. Ryland. 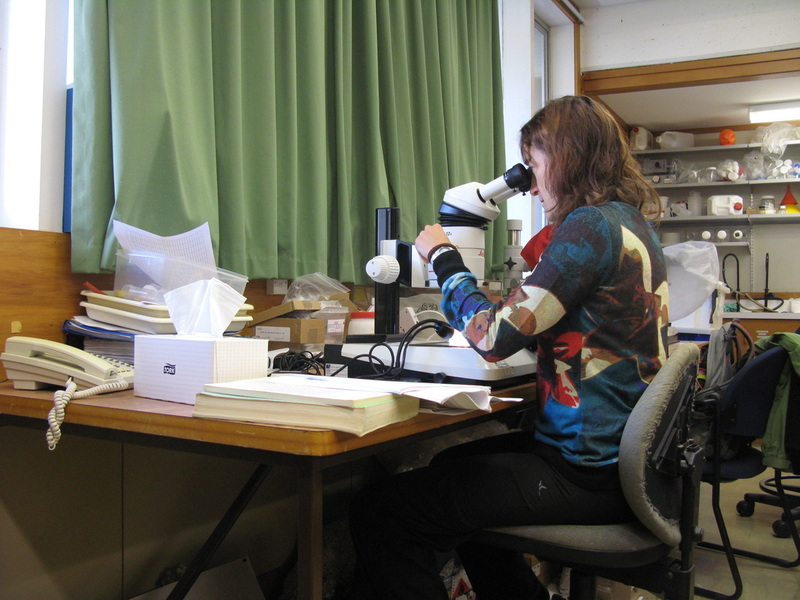 Collecting samples for my project in Falkland Islands (2014). Photo by SMSG. 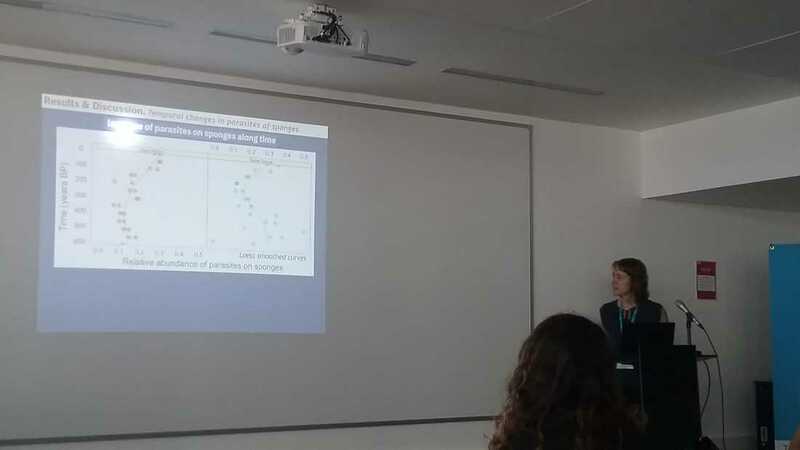 Oral presentation at the 5th International Palaeontological Congress in Paris (2018). 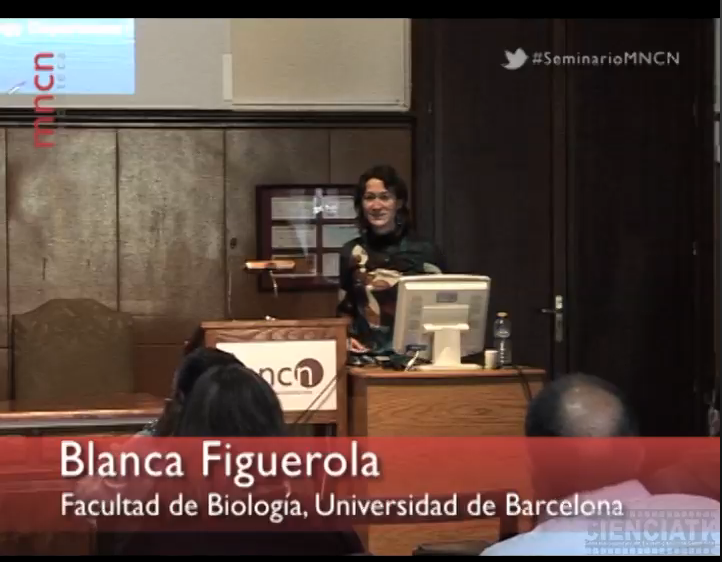 Invited talk at the National Museum of Natural Sciences, Madrid (2013). Research stay at the National Institute of Water and Atmospheric Research, New Zealand (2012). 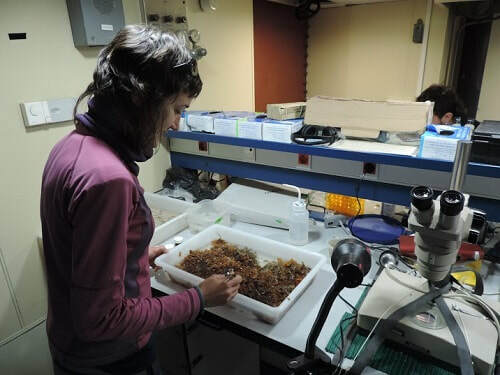 Sorting samples on board of REV Hespérides in Antarctica (2016, DISTANTCOM project). 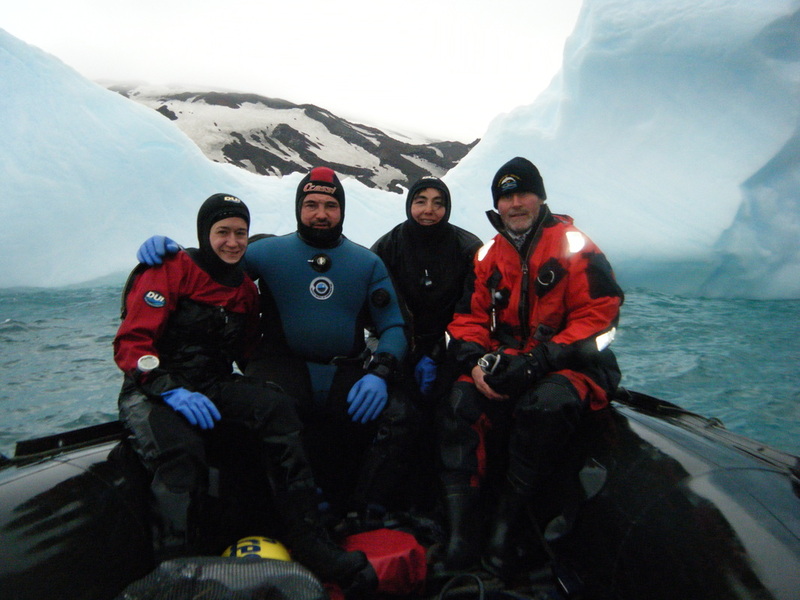 Collecting samples in Antarctica (2010; ACTIQUIM project). Chemo-ecological experiment with sea urchins in Antarctica (2008, ACTIQUIM project). Collaboration in a project of threatened coral species with SUBMON company (2013). Outreach activity about marine life (2015).